Solo Exhibition Catalogue by EGEAC. 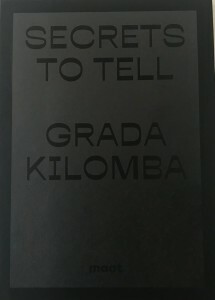 It contains installation views of all the artworks, texts by the artist’s works and by the show curator Gabi Ngcobo. 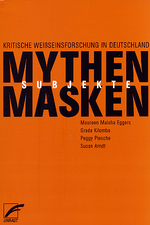 Solo Exhibition Catalogue by MAAT. 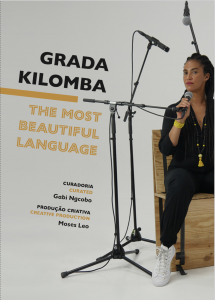 It contains installation views of all the artworks, texts by the artist, by the show curator Inês Grosso, and a letter to the artist by Alfredo Jaar. “ASKING, WE WALK. 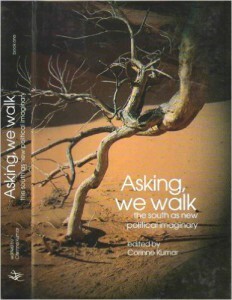 THE SOUTH AS NEW POLITICAL IMAGINARY” (2012), Edited by Corinne Kumar, with Chimamanda Ngozi Adiche, Obioma Nnaemeka, Grada Kilomba, Samar Farage, Mohamed Adhikari, Walter D. Mignolo, Majid Rahnema, Boaventura de Sousa Santos. 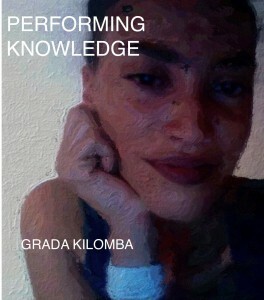 An anthology of essays challenging the dominant discourses and worldviews and offering alternative visions and lived realities. El Taller International and its partner organization Streelekha Publications, Bangalore, India. نتساءل ونحن نمشي: الجنوب كخيال سياسي جديد. إطلاق كتاب (الكتابان الثالث والرابع من السلسلة) بحضور من ساهموا في الكتب الأربعة والّذين سيكونون موجودين بالمنتدى الاجتماعي العالمي. وقد أكّذ عشرون كاتبا .وكاتبة مشاركتهم. مجموعة من الكتابات تتحدّى الخطاب المهميمن وتقدّم رؤى بديلة وحقائق معاشة. منظمة ألتايير العالميّة والمنظّمة الشريكة ستريليخا للنشر، بانغالور، الهند. Demander, nous marchons: le sud comme une nouvelle imagination politique. Lancement du livre (livre trois et quatre)avec les auteurs du livre un , deux, trois et quatre, qui seront présents au forum social mondial 2013. Vingt auteurs ont confirmé leur participation. Un anthologie d’essaies défiant les discours et les visions dominantes et offrant des visions alternatives et des réalités vécues. El Taller Internationale et ses organisations partenaires les publications Streelekha, Bangalore, Inde. What’s at stake here is to reflect not only on historical colonialism but also on the ways in which capitalism frames the world we inhabit here and now. 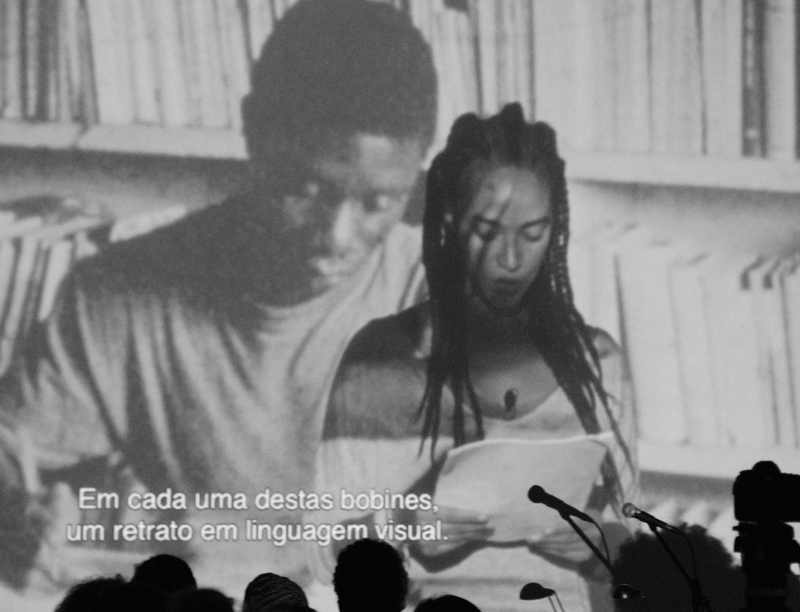 The notion of decoloniality has provided a radical option with which to rethink learning processes coming from positions that are not exclusively Western-orientated but are instead formed by other political-social contexts and perspectives. 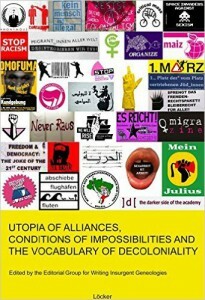 The concept of decoloniality offers an insurgent position in the history of colonialism and in all it’s contemporary forms of colonial subjugation, exploitation and discrimination. It is important to analyse the continuities of colonialism, Nazism and fascism in contemporary neoliberal global capitalist democracies. 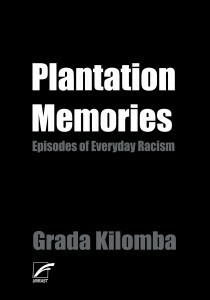 With these continuities it is possible to define present racism, Islamophobia, anti-Romaism and anti-Semitism without, however, forming competing histories of oppression and persecution. 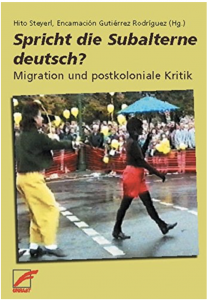 Many questions could not be answered here and now, yet it was clear that we wanted to reflect upon memory politics as well as upon how to make alliances between present forms of anti-racist, anti-colonial, political, theoretical, critical and artistic works.